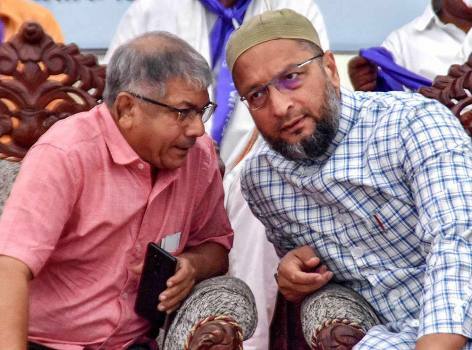 AIMIM leader Asaduddin Owaisi with Dalit leader Prakash Ambedkar during a public meeting for the upcoming Lok Sabha polls, in Nagpur, Maharashtra. 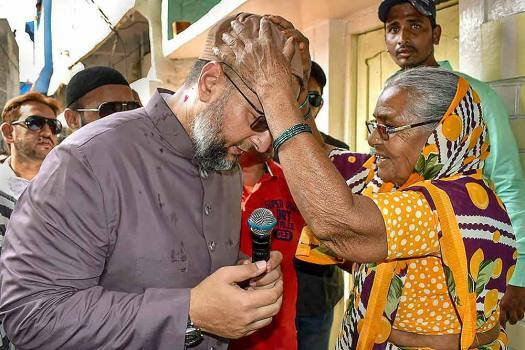 AIMIM chief and Hyderabad MP Asaduddin Owaisi seeks blessings from an elderly woman during his door-to-door campaign, ahead of the Lok Sabha elections, in Goshamahal, Telangana. 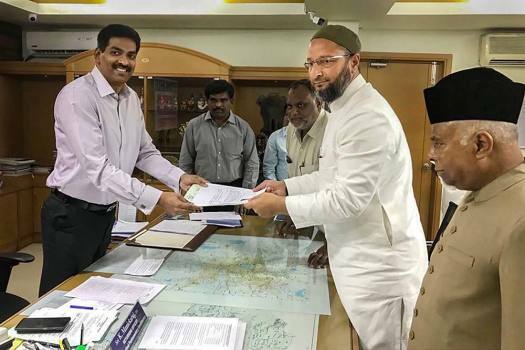 AIMIM President Asaduddin Owaisi files his nomination papers to contest for Hyderabad Lok Sabha seat, in Hyderabad. 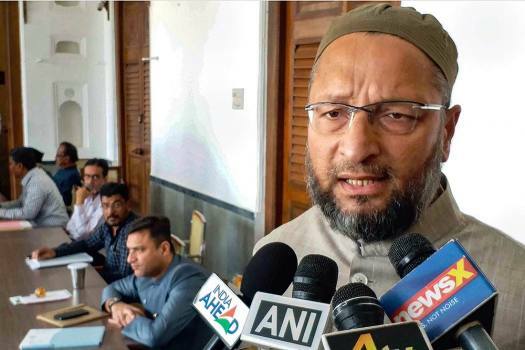 AIMIM chief Asaduddin Owaisi addresses the media after the announcement of dates for General elections 2019, in Hyderabad. 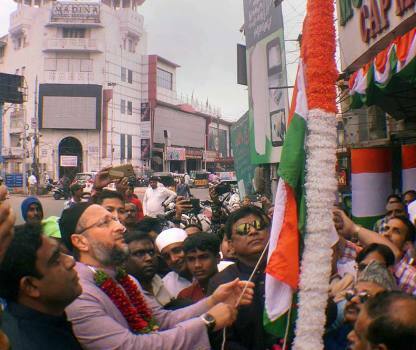 AIMIM President Asaduddin Owaisi unfurls the national flag during the 70th Republic Day celebrations at Madina Circle, in Hyderabad. 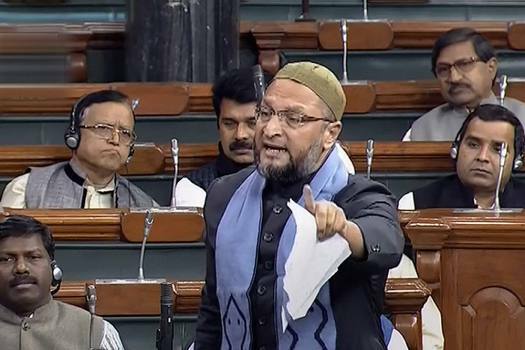 AIMIM Chief Asaduddin Owaisi speaks in the Lok Sabha in New Delhi. Telangana Governor ESL Narasimhan greets newly-sworn in Telangana Chief Minister K Chandrashekar Rao, AIMIM President Asaduddin Owaisi and others, at Raj Bhawan in Hyderabad. 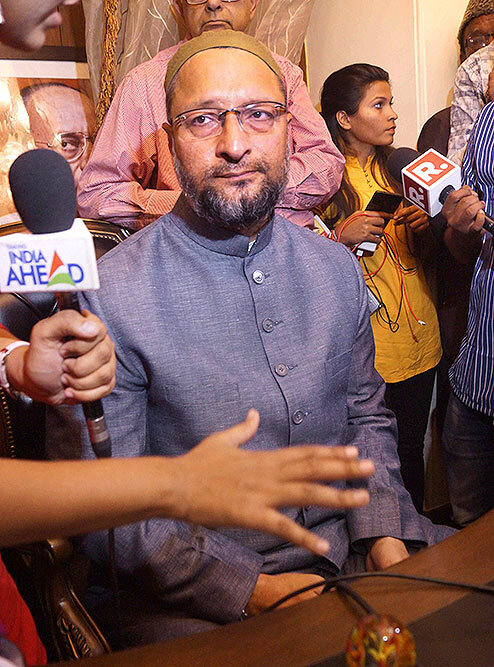 MIM leader and Hyderabad MP Asaduddin Owaisi addresses a press conference, in Hyderabad. 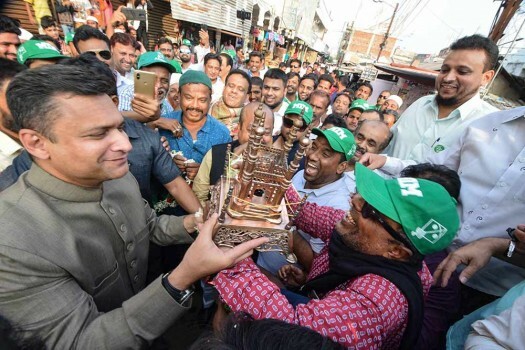 All India Majlis-e-Ittehadul Muslimeen (AIMIM) leader Akbaruddin Owaisi during an election campaign ahead of the state Assembly elections at Chandrayan Gutta, in Hyderabad. 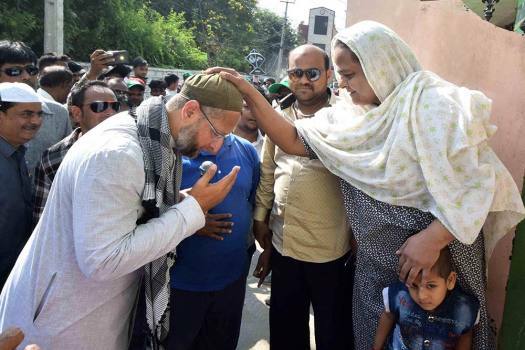 AIMIM chief and Hyderabad MP, Asaduddin Owaisi during a door-to-door campaign ahead of elections, for Chandrayan Gutta constituency, in Hyderabad. 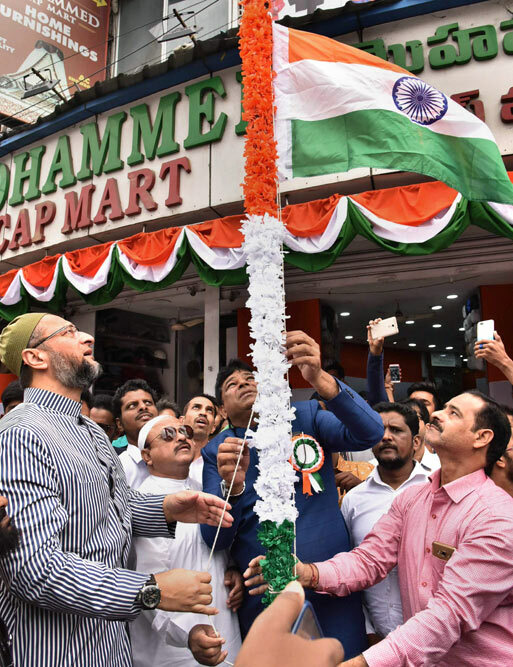 AIMIM President Asaduddin Owaisi hoists the national flag during the 72nd Independence Day celebrations, at Medina Circle in old city of Hyderabad. 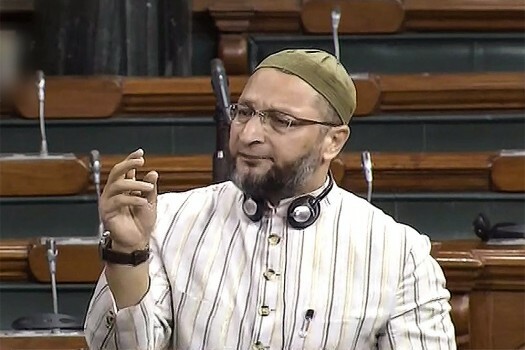 AIMIM Chief Asaduddin Owaisi speaks in the Lok Sabha during Monsoon session of Parliament, in New Delhi. 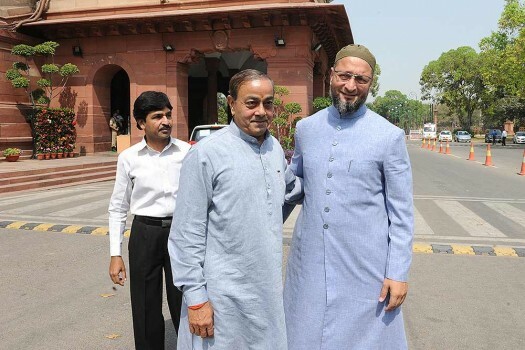 MIM leader Asaduddin Owaisi (R) with congress leader Sanjay Singh at Parliament House during the budget session of Parliament in New Delhi. AIMIM leader Asaduddin Owaisi at Parliament House during the on-going Winter Session of Parliament in New Delhi. AIMIM chief Asaduddin Owaisi addressing the media in Hyderabad. All India Majlis-e-Ittehadul Muslimeen leader and MP Asaduddin Owaisi at Parliament House during the budget Session, in New Delhi. AIMIM leader Asaduddin Owaisi at parliament during the Budget session of Parliament, in New Delhi. 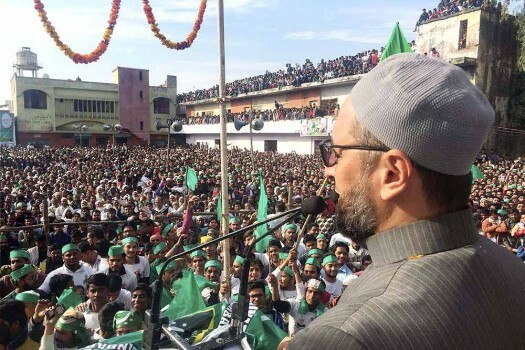 AIMIM supremo Asaduddin Owaisi addressing an election meeting in Sambhal, in Utter Pradesh. 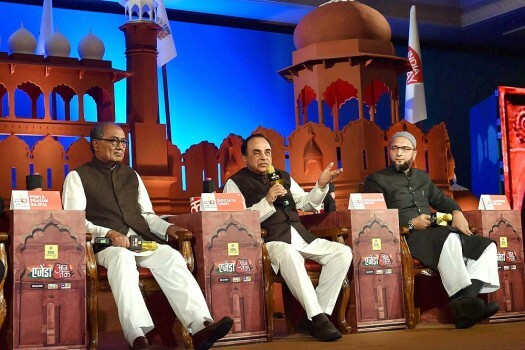 BJP MP Subramanian Swamy with All India Congress Committee General Secretary Digvijay Singh and AIMIM leader Asaduddin Owaisi speaks at Agenda Aaj Tak 2016 Summit, in New Delhi. 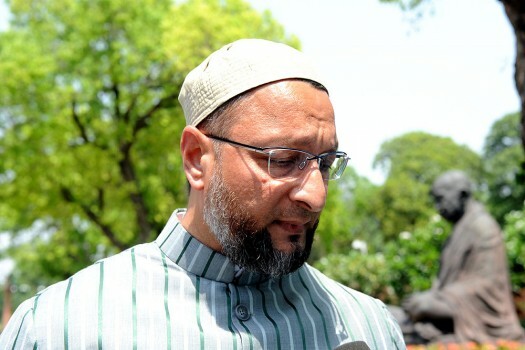 AIMIM chief Asaduddin Owaisi on Monday called upon the Narendra Modi government to act rationally over the issue of Article 35A, saying it is a very delicate issue. 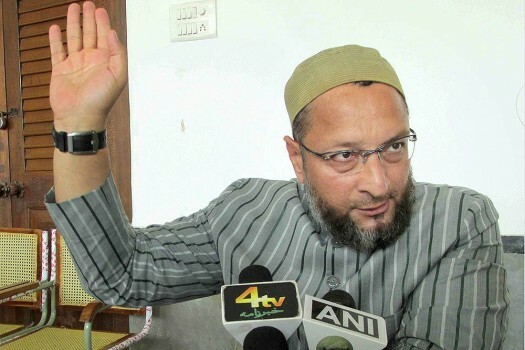 In the video, Owaisi can be heard saying, 'Aur Mr. Chandradu, tumahare ko bhul gaya tha main... Chandradu, I am coming..."
With A Silent KCR And Optimistic Congress, Is Telangana Heading For A Cliffhanger? Quite unlike him, KCR has switched to silent mode and has been monitoring the situation from his farm house, which is in his constituency of Gajwel. While, the ‘Praja Kutami’ spearheaded by the Congress, consisting of TDP, TJS and the CPI, appears confident of a win. 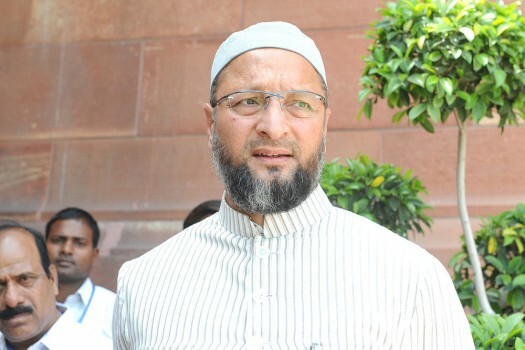 Owaisi, while addressing a rally in Vikarabad district of poll-bound Telangana, further said that during Azad's 45 years in politics, he only fought once for an Assembly seat when he was the Chief Minister. "This is the difference! To stop our rally, they were offering Rs 25 lakh in party funds. 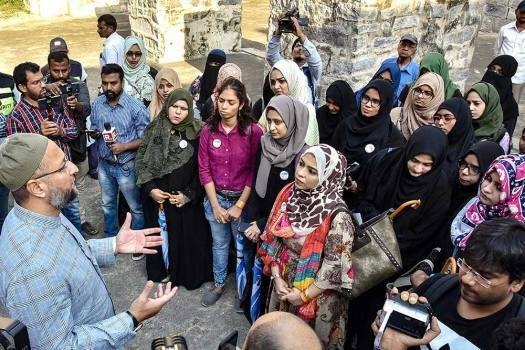 This is a symbol of their pride," the AIMIM leader added. In the first direct and bitter attack on the former ally of Congress, Gandhi said both the parties (BJP and MIM) have the same ideology and thinking. “They are the two sides of the same coin. 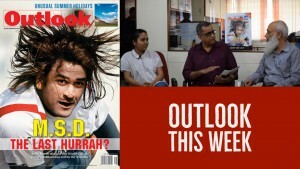 They do polarisation and run their own agendas," Congress spokesperson Priyanka Chaturvedi said. While the Congress Party supported Owaisi's stand, the Indian Army ejected claims by saying the army does "not communalise martyrs." TRS has to face an une­xpected adversary—the opposition’s ‘Praja Kutami’ (People’s Alliance) which is led by the Congress and includes the Telangana Jana Sam­ithi (TJS), TDP and the Communist Party of India.